Young Tiger NTR's Jai Lava Kusa got the huge openings in India and Overseas. This movie stands at 18th place in US Boxoffice with the record openings of $560,699 (3.64 cr) in 168 locations in USA. In India Jai Lava Kusa has collected 24 Crores on 1st Day and expected to cross 100 Crores within a week time. 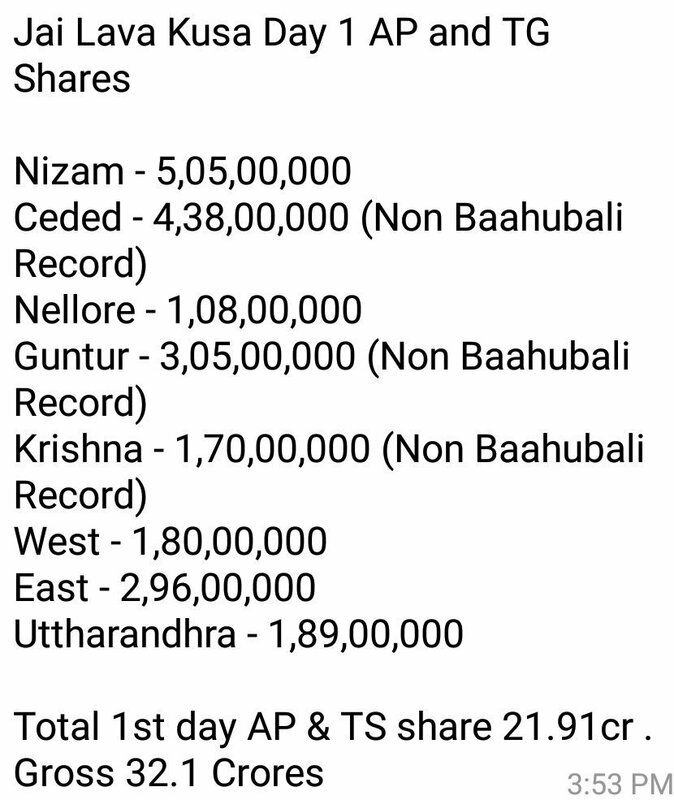 And also expection Jai Lava Kusa will crosses the whole collections of Janatha Garrage (134 Crores) and will be stand as the Number 1 Blockbuster in NTR's career.